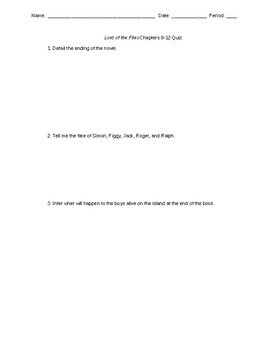 Three short answer quizzes that will prove if students read Lord of the Flies on their own. I break up chapters in the following way: 1-5, 6-8, 9-12. I have two versions of the first quiz so students can't share responses.